Adapted from the comic strips by Pat Mills and John Wagner, originally published in Doctor Who Weekly, The Comic Strips Adaptations Volume One will bring the Star Beast and the Iron Legion to the 21st century! More story details for The Comic Strip Adaptations being released in March 2019 are available now. In these two adventures, we find the Fourth Doctor encountering the Iron Legion – an army of robotic Roman legionnaires, and in Doctor Who and the Star Beast, the Fourth Doctor encounters one of the deadliest and most adorable villains ever – Beep the Meep! Tom Baker reprises the role of the Fourth Doctor for this special release of two full-cast stories. Nicholas Briggs, director of the Fourth Doctor audio adventures, explains: “These Fourth Doctor The Comic Strip Adaptations have a whole different feel to them. It’s like they’re from a parallel universe vision of Doctor Who. Tom Baker spotted it straight away, emailing me the moment he’d read the Iron Legion, commenting that this was ‘a bit DIFFERENT’ – actually typing ‘different’ in capitals! But he rose manfully to the challenge and entered into the spirit of it all wonderfully. And that spirit is that they are, essentially, wackier. Rhianne Starbuck will be playing Sharon alongside the Fourth Doctor in The Comic Strip Adaptations. 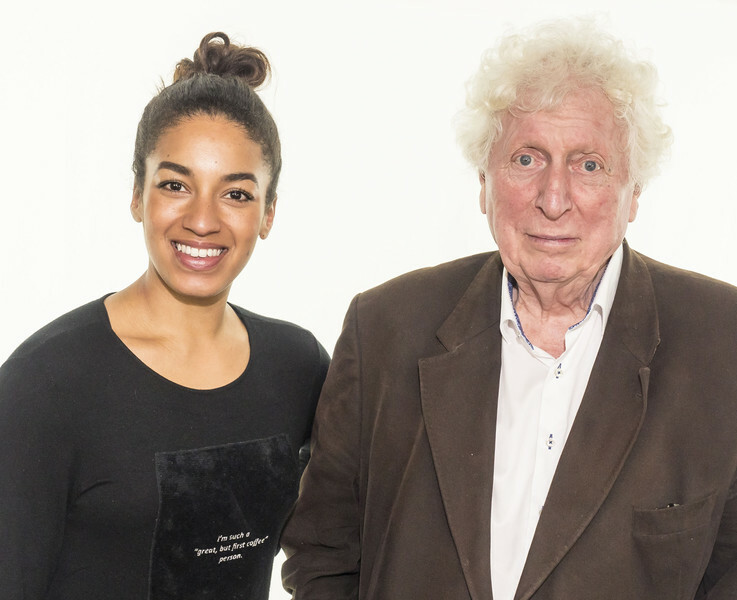 You can read all about this new companion here. The Comic Strip Adaptations Volume One will be released in March 2019 as a 5-disc CD box set for £23 or on download at £20 from Big Finish. Or you can get it together with The Seventh Doctor The New Adventures Volume One at the bundle price of £45 on CD or £40 on download.